I put up my Facebook page 7 years ago when I opened my business because I knew I needed one. But no one ever told me what to do with it or how to get the right followers. For nearly 7 years it sat with less than 400 people on the page and no new content for people to read. BOO. 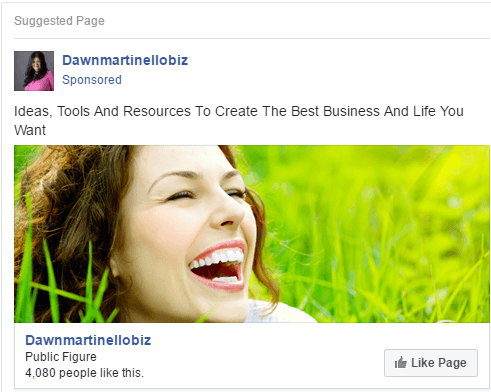 In April of 2016, with a new urge to push my business into a new direction, I started doing Facebook Ads. I followed the things that Sandi Krakowski taught but my numbers were still abysmal and I was paying through the nose. I did like ads, boosted posts, created ads for products and a few to gain some new faces on my email list. 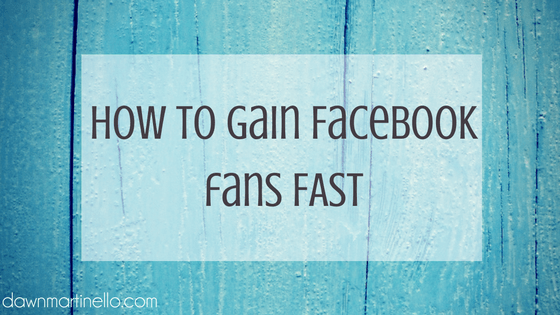 I’ve created a gorgeous 10 page booklet that walks you through my Facebook Ad System. 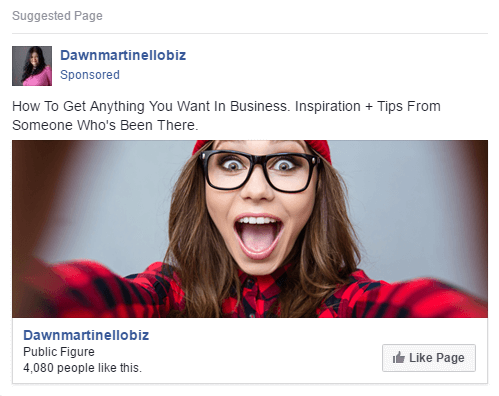 How to choose the right audience, how to tweak your ads as you go, what to do on your Fan Page to ensure you continue to benefit from your ads once people land there and oodles of resources. The best I ever managed to do was paying .47 cents per like, and that was after working through a few options inside different ads. Double BOO. Let me show you the changes (and cost) that my like ads went through. This was the first ad that I ever created. I didn’t know that .64 cents per like wasn’t a good deal so I kept it running for quite some time. I focused on folks who were interested in essential oils and business. On a call with Sandi, I was asking a question about ads and mentioned how my one $10 a day ad was still bringing in 3-5 likes per day … she didn’t even answer my question but the info that she gave me was even better. She said with that budget, I should be seeing 30-50 people per day. GULP. My next ad didn’t run as long as the first, and I was thrilled that I dropped my cost down to .52 cents per like, but I was still paying double what I should have. This one was targeted at people interested in some bigger name internet marketers. The third ad felt like it had a bigger impact (it was probably the colour in the image) but I shut it down after a week. I skyrocketed back up to .61 cents per like. This puppy targeted bigger business names as well as a few network marketing sites. This is my current ad .. my money maker. It makes me smile every time I look at it because from the moment that it started running, I was paying .20 per like. This ad currently targets an energy business, a woo-woo type business coach and a well known entrepreneur. Here’s what I learned with these 4 ad campaigns. I was always concerned about the image. Consultants will tell you to choose bright colours, women, smiling faces. Facebook has this nifty feature that allows you to choose from your own images OR you can choose any of the stock images that they have in there for free. I’d search for happy, love, joy .. just so I could find the perfect picture. Turns out the best ad I’ve done didn’t have any people in it at all. I never wanted to use copy on my images. EVER. I’ve seen people try to cram a bunch of text onto their images – not only do you have to play by Facebook’s 20% text rule, but if you can’t easily see the text when you’re scrolling through, what good is it? 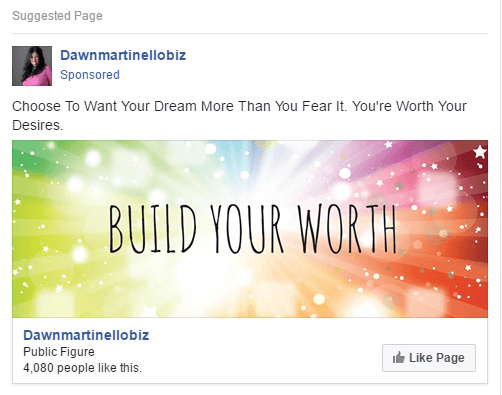 When I decided to put “build your worth” on the image I only made the decision because it was short, bold and on top of being text, it really spoke to the message I was trying to relay in ad. The copy is just as important as anything else you need to do in your ad. 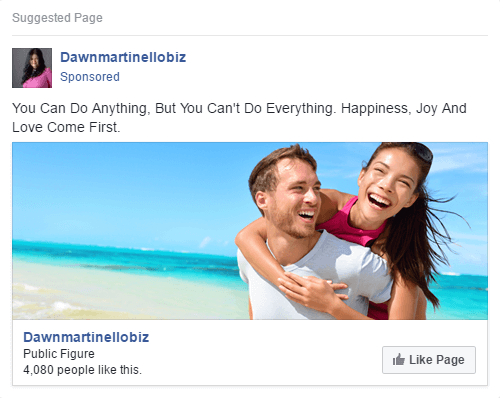 You can see from the 4 ads I’ve shown you that I’ve tried a few variations: The first one was meant to inspire people and it’s a play off the tag line you’ll see me use often on my material “Always choose joy + happiness – the ultimate biz + life solution”. The second and third ads focused more on what I could offer people (tips tools and resources) while still providing some inspiration. For the final one, I went back to inspiration. Don’t forget your FREE content upgrade this week: The Facebook Ad System with tips, advice, worksheets and resources. Here’s what I want you to remember. No one is going to be able to give you the glass slipper of ads. What works for someone in the same niche as you with the same target audience isn’t necessarily going to work for you. So get out of that mindset right now of copying down every word someone uses in their content or what words are capitalized or what your Call To Action button should say. What you need to know is where to start and how to tweak things as you go. Far too many people see a bad result from an ad and scrap the entire things and start again. That’s not how you smart bunnies are going to do it. You’re going to tweak and watch. Tweak and watch. Tweak and watch. If you’re just getting started with ads, please, only worry about the LIKE ads. Forget about trying to sell people on your products or anything else. Build that page up and get those raving fans. Here’s another tip – don’t stop your ads too soon. Facebook seems to optimize it better the longer that it runs. So unless it’s completely bombing, let it run and get some insight into what’s going to work for you.